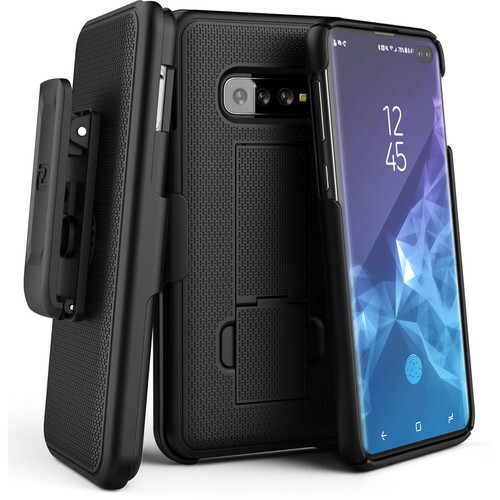 Keep your Samsung Galaxy S10+ protected and within reach with the DuraClip Series Slim Fit Case with Belt clip Holster from Encased. Manufactured to handle impact and abrasion, this case has a solid-core polycarbonate frame with an anti-grip finish. The DuraClip cover features a raised lip, which is designed to keep the screen elevated and scratch-free should you place your smartphone face down on a rough surface. This DuraClip comes with a secure-fit belt clip holster, which allows you to clip this case to your belt loop. The belt clip holster is designed to rotate both vertically and horizontally to match the user's preference. 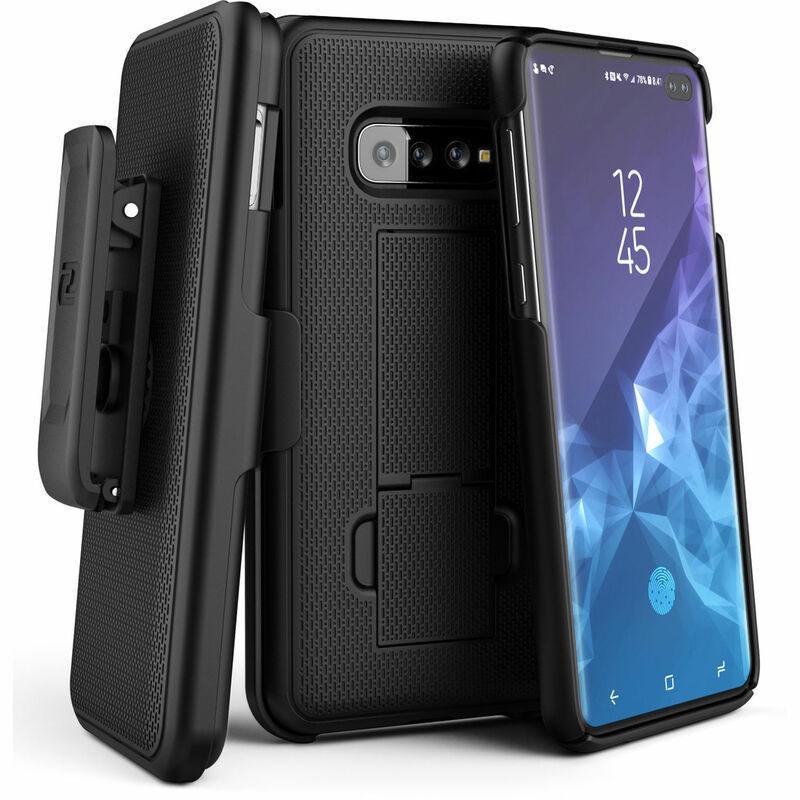 Additionally, the belt clip holster has a soft microfiber lining and built-in kickstand that adds a hands-free viewing solution for your Galaxy S10+. This case features a two stage RF surface finish, which is intended to provide both comfort and grip. The reinforced holster is built tough and rotates 180° for both right and left-handed use. Precise port and button cutouts for easy access to all functions and controls on your Galaxy S10+. Box Dimensions (LxWxH) 8.7 x 4.5 x 1.55"